Scoontemplations: Angel on the couch next to me, wondering why Bogie is napping. Angel on the couch next to me, wondering why Bogie is napping. 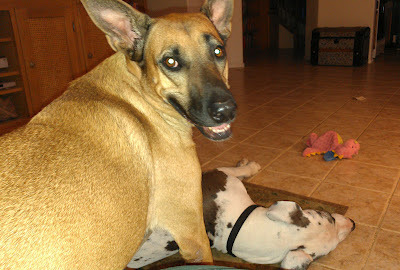 Angel, being the older of the two, wonders why Bogie is sleeping instead of playing with her. Of course, when they play, he runs, jumps, and tugs harder than she does.